Widely regarded as the greatest couverture chocolate producer in the world, Valrhona’s standards for raw product is iconic. The same rigor for cocoa selection and testing goes into sourcing & processing tree nuts for their Praliné range. This flavor profile is composed of only Roman hazelnuts & Valencian almonds. Using the “Chouchou Process,” also referred to as Nutty Notes, raw nuts are roasted and caramelized together and transformed into a crunchy paste. Use as you would any typical praliné – we can’t stop eating this stuff with a spoon. 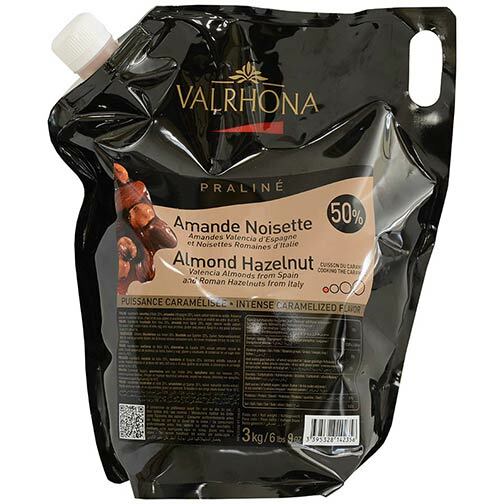 Ingredients: Hazelnuts from Italy 25%, almonds from Spain 25%, sugar, natural vanilla extract. May contain traces of milk, egg and soy proteins, gluten and peanut.